The family of a murdered Malta journalist fear they will never find out who ordered her killing, it’s emerged. 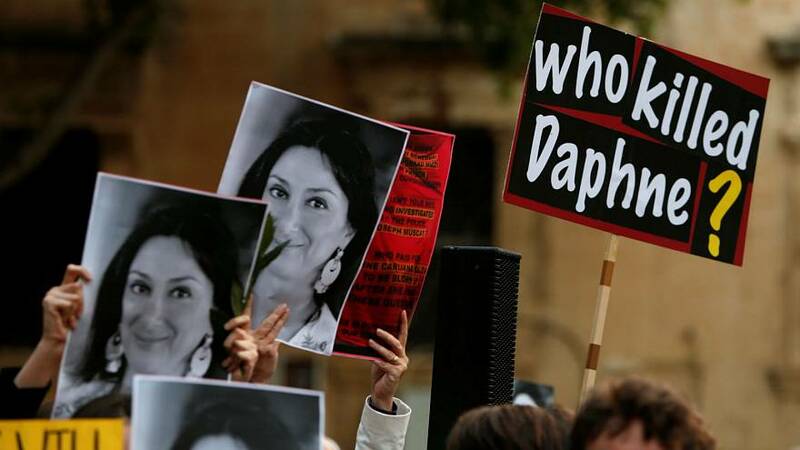 Daphne Caruana Galizia, who used her blog to allege corruption on the island, died in a car bombing six months ago. Three men have been arrested and charged with her murder but police have yet to give a motive. Her killing sent shockwaves across Europe and prompted a team of 45 journalists to carry on her investigative work. The Daphne Project today released more details about the gruesome aftermath of the car bombing and details of the police investigation. “Daphne’s family fears that the case will end here with the three accused of carrying out the plot — and no further investigation into who ordered them to act,” the dossier reads. “They worry that the police will come under political pressure to look no further. Daphne’s son, Matthew Caruana Galizia, also a journalist, had been with her on the morning before her killing. He told the project: “Two hundred metres right in front of me there was a huge ball of fire. The car was in flames. “When I arrived on the scene it was like a war zone.